With the advent of the Internet of Things—the growing network of interconnected devices that use the Internet to communicate and store information—the issue of cybersecurity has grown in importance. Do your homework before going out to buy that smart coffeemaker or app-controlled air conditioner. Certain devices make security a top priority, and even though these might cost a little more, the expense is worth it. Look for details like available encryption strength or the brand’s long-term reputation for customer security. 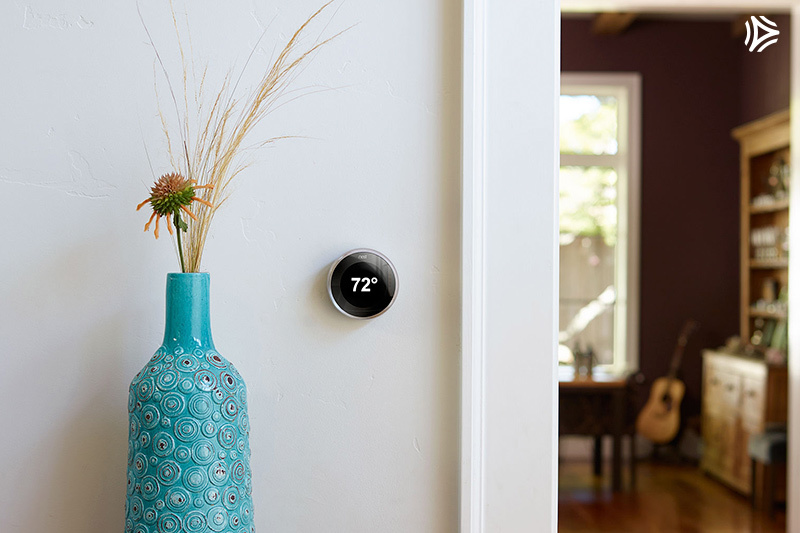 Trusted brands like Nest, Hive, and SmartThings have all been cited for their security commitments. Many smart devices will offer enhanced security options—personal passwords, or two-factor authentication, which adds an additional layer of security to accessing an account—but they don’t always make you use these security features. Always take the extra time and trouble to set up confidential, secure passwords, rather than just settle for the default security settings. For example, Nest created a dedicated engineering team to focus on monitoring security risks and update our systems accordingly. Specific attention is placed on consistently keeping servers up-to-date with operating system updates and security patches. Of course, the security of your individual devices matters very little if your home network is vulnerable. After all, routers are known as the “digital doorway” of any home. Be sure to set your wireless router to employ the strongest encryption available, such as the WPA2 encryption. Another wise move is segmenting your networks. Most routers enable users to set up more than one network. Segmenting your networks ensures that even if you are hacked, the trespassers won’t automatically have access to every smart device in your house. As long as you’re encrypting and segmenting, you might want to create a plan in case of attack. You can minimize the damage by immediately changing all passwords and contacting the credit bureaus as well as your banks and credit card companies. Once you know the extent of the breach, file a police report so that there is an official record that could assist in fighting against identity theft.